From Green Bay beach along the coast on the old road to Broad cove, a 5.6 km hike that shows the typical rocky coastline of Nova Scotia. Time to complete approximately 1hr 45mins. 1. To start from the Green Bay end, if you follow the Green Bay road until it ends you can continue walking on the beach. After a short distance the trail should be easy to find a bit farther from the water, going through the grass. At times this section of the road is not passable due to large puddles. 2. Follow the coast line from Green Bay to where the road meets the path. Most of the way it's quite easy to follow, though at some points the path itself has been washed out but you can just follow along the beach until it starts again, and there's two or three places where you might get wet feet! Click here to view Green Bay/Broad Cove Trail in Google maps. 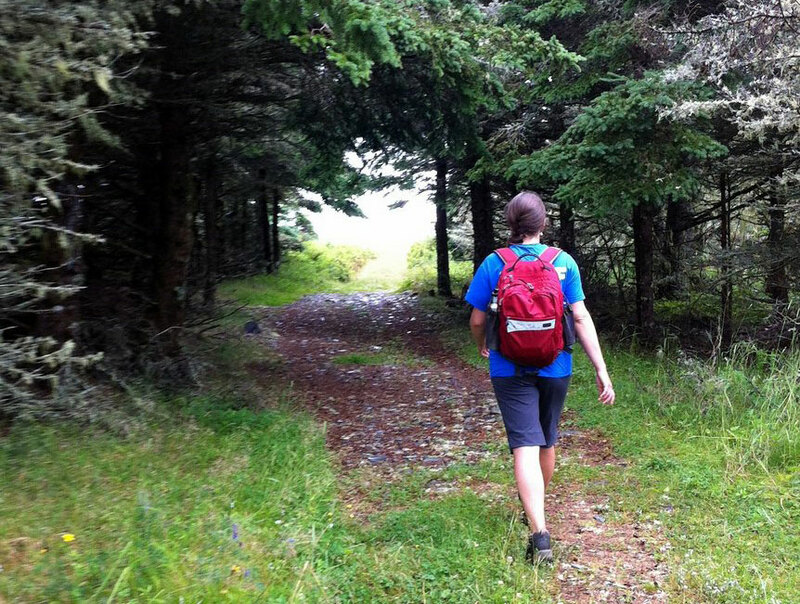 To start the trail from Broad Cove, take Beach Road to Bear Trap Road. It's best to park at the beach parking space as there is no suitable parking further on and few places to turn around. Walk to the end of Bear Trap Road and keep going. The trail is easiest to traverse within about 4 hours of low tide. At high tide you may have to wade through a bit of water in 2 or 3 locations.